We have entered November, can you believe it?! Well now halloween is over, its now time to start looking towards, yes I'm going to say it, Christmas!!! With that in mind I thought it would be a nice idea to put together some ideas for decorating various parts of your home, to get you in the spirit of course. Today we will look at children's bedroom ideas. I think sometimes, this can be an area that forgets to be decorated. I know I'm guilty of that! But, lets face it, if you have children your main focus at this time of year is them. Making special memories and keeping the magic of Christmas alive - so why not decorate in their room too? Of course, you don't have to go over the top. This nursery is absolutely gorgeous. I love the little details like the stocking and gingham blanket. Its not over the top, just simply beautiful. 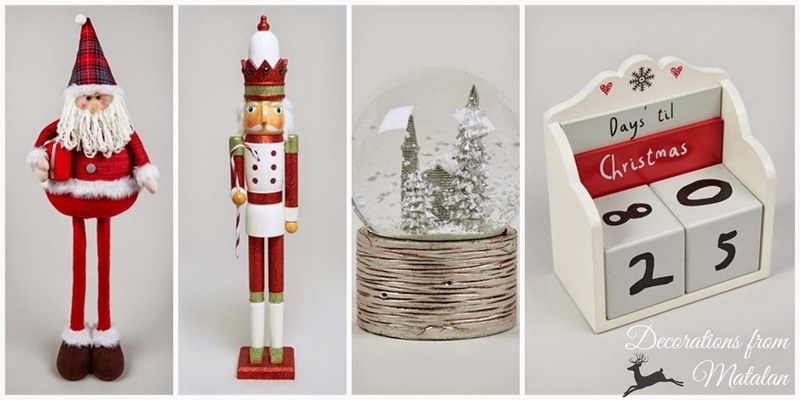 Also the little Christmas characters are perfect for a little ones rooms. Here are a few I have selected that fit within this theme, all of which I found at Matalan. Another very simple idea is to put a christmas tree up in their room. Just a little one. It could be turned into a fun craft project through December, to decorate the tree with homemade decorations that your little ones have made. You could even make your own bunting! There is nothing more special than home decor that you have made yourselves. Especially if it Christmas related! 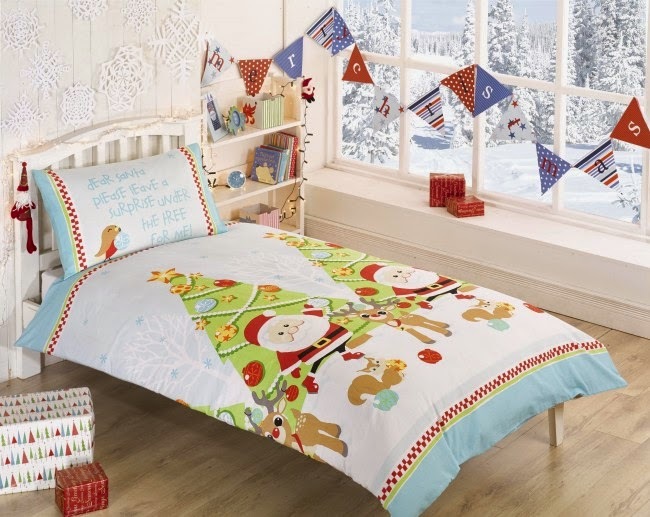 Lastly, why not add some festive cheer by switching up their bedding? Its something we actually do for our own bed, we have a gorgeous stag print, but something we haven't done for Darcie yet. There are so many to choose from and you can pick up some real bargains. I found some lovely duvet covers over at Yorkshire Linen Company along with some really lovely stockings too! 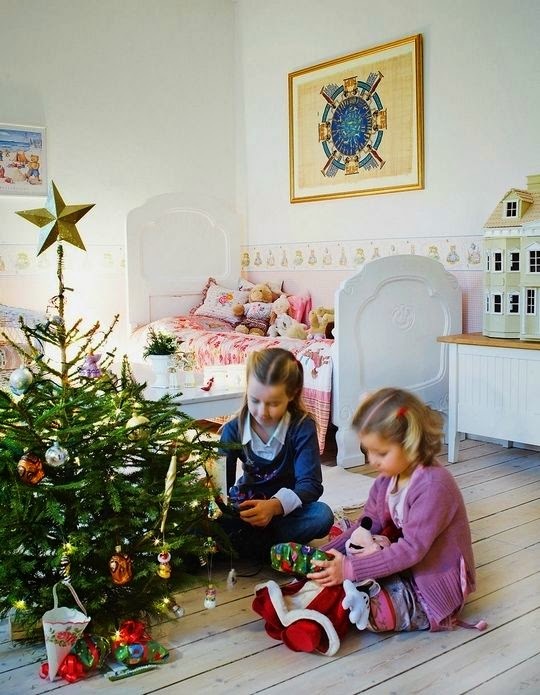 Do you decorate your little ones bedrooms through the festive period?